Poppy Jasper enhances vitality and helps you to be present in every moment, thus taking power away from past events. 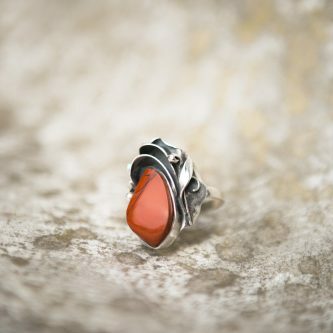 Because this stone is very grounding, it helps you to remember your dreams. It supports a deep connection with the earth and helps you bring your head out of the clouds. Physically, Poppy Jasper balances and clears the blood, healing the cardiovascular system. Bringing awareness further into the physical body, it helps you track your body’s inner health better. It generates the proper energy charge for vitality in the blood.